Roxanne Weaver, who goes by Nikki, probably isn't the first person you'd expect to be a magical girl. She's a self interested, short tempered misanthrope, prone to using her powers to selfish, often destructive ends. She doesn't much care for heroics or justice, instead fighting for her own entertainment. Her power comes from the star charm on her necklace. 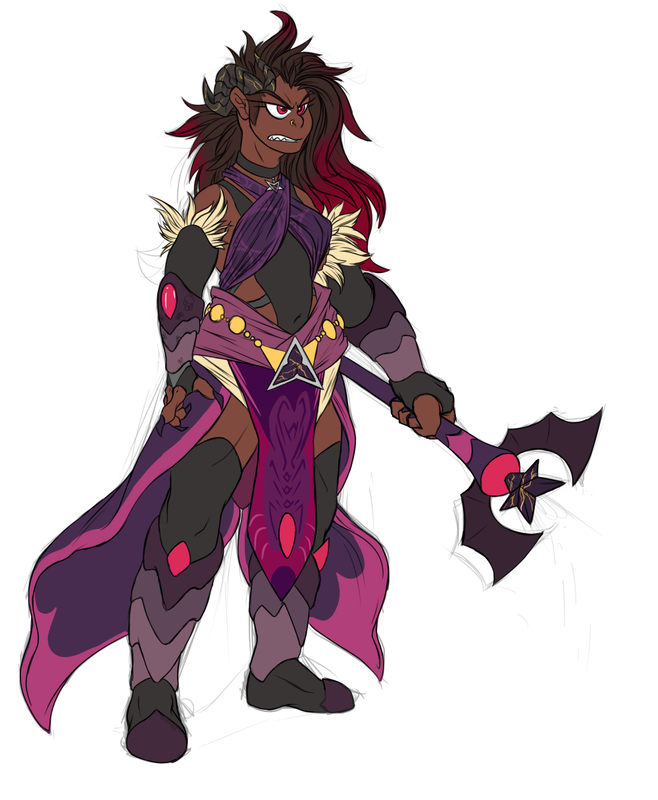 As a magical girl she can manipulate dark energy generated from negative emotions. The more negative emotions are generated in the area the greater her potential power. she can project this energy as a number of different types of blasts or beams, or she can use her scepter to form it into a solid form, such as bladed weapons.